Today I am sharing a quick 6×8 layout that I did of my daughter’s Halloween costume for this year and I wanted to give you an idea for making the most of your space when working on a small layout like this. 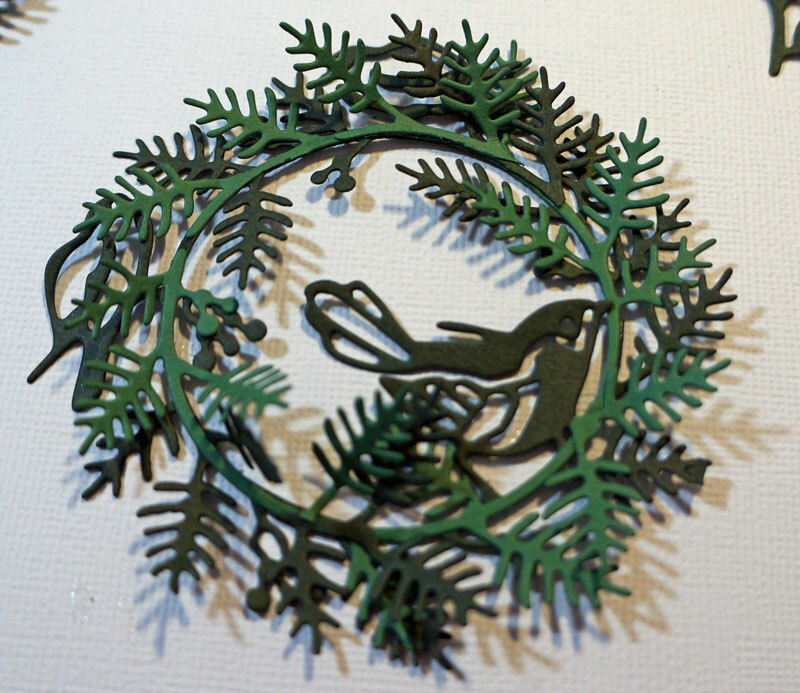 I used my Silhouette to cut out the circle title accent and cut it out of American Crafts POW glitter paper in silver. I backed that with black cardstock and added some white sticker letters that I colored orange and then put a coat of clear glitter on top with my Wink Of Stella Glitter marker. I also cut out the spider and the Jack-O-Lantern face out of black POW glitter paper. Because my photo took up so much space in the small layout I wanted to conceal my journaling tag in a design type element. I took one of the Whimsical Sacks sold in the Whimsical Twist shop and put the Jack-O-Lantern face on the top. 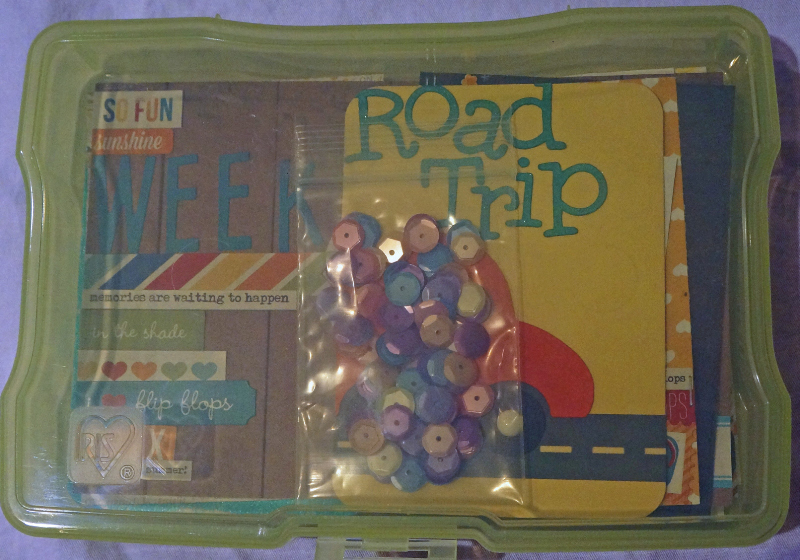 These little bags are perfect for tucking away journaling or memorabila especially when you have a small layout like this. 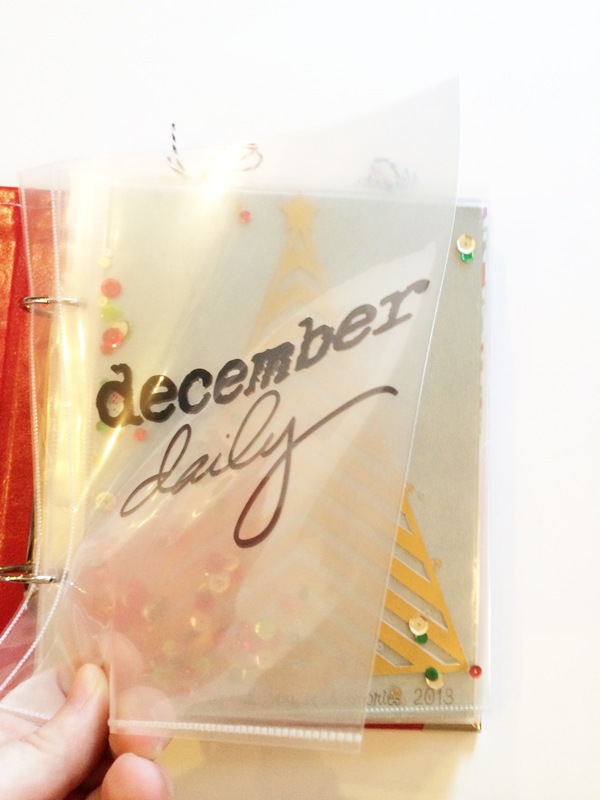 These bags also fit perfectly in a 3×4 pocket page protector. I am absolutely addicted to these little bags and I thought it added a real fun element to the page. 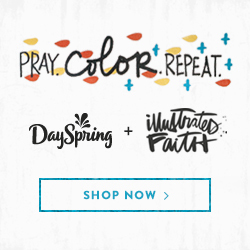 There are a bunch of patterns and colors in the Whimsical Twist shop, Check them out HERE! 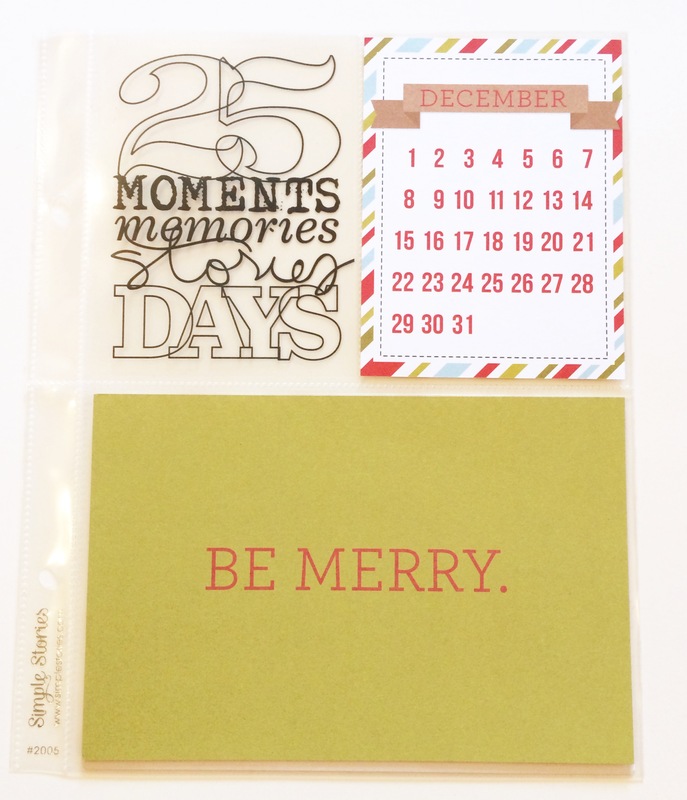 Also don’t forget there is a bonus ephemera pack that you will receive if you buy any of the Whimsical December Days kits this week! I have been featuring the kits that are currently on sale and shipping in the shop. 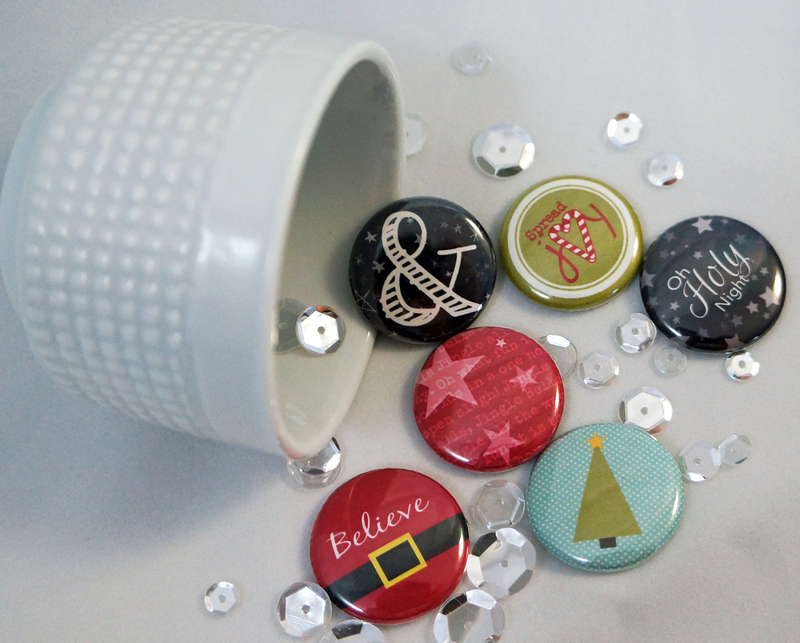 Today I am giving away a set of EXCLUSIVE Flair buttons made to match Merry And Bright!! 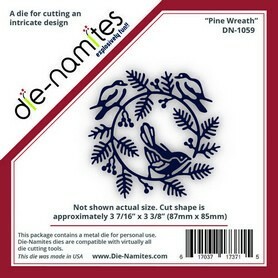 These will of course go with any of the kits but especially Merry and Bright! 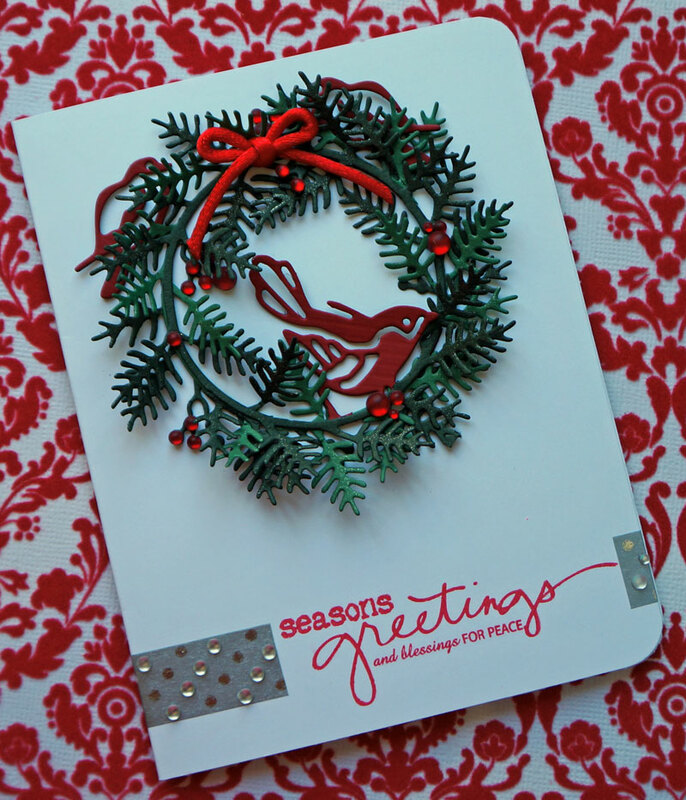 If you havent seen the Merry and Bright kit, check out my video going through the entire kit. Make sure to leave your name and location for a chance to win a set of this awesome flat backed button flair. 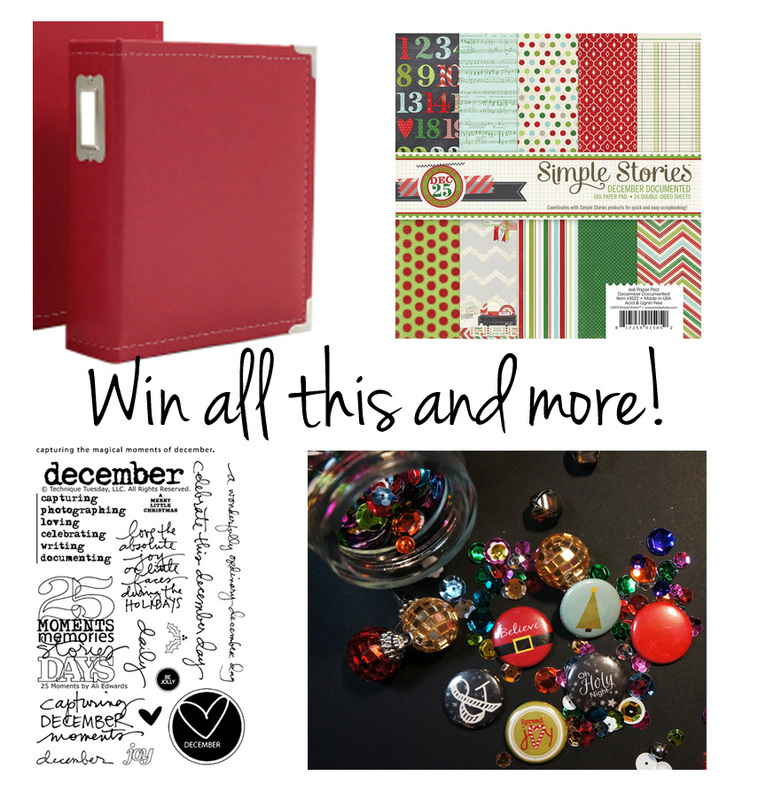 Also I am giving away a spot in the Whimsical December Days class! You can read more about that HERE. Lots of things to win this week. I will be announcing all my winners Monday morning so be sure to go back and enter each of this weeks giveaways! I hope you all have a Fun, Safe, and BeWITCHing Halloween! Fall Bucket list and Gratitude.Documented. I am so excited to share with you today the beginning of my Autumn album! 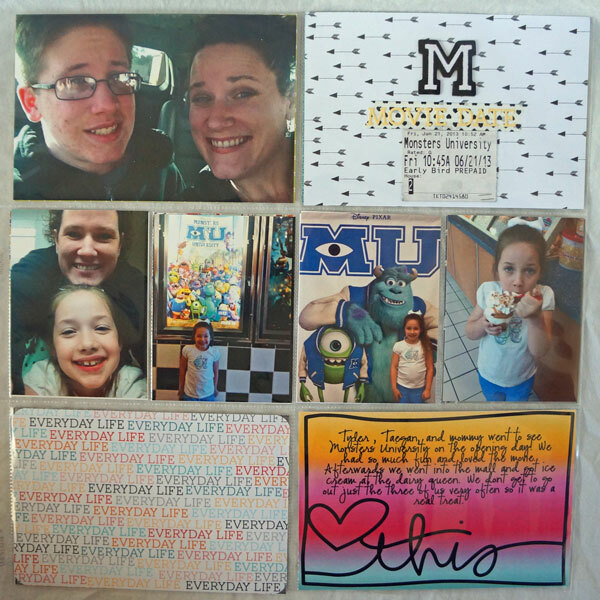 I was first going to do a 6×6 mini bucket list album but I have “Fall”en in love with so many gratitude albums I have seen and the Gratitude.documented concept that Shanna Noel has started that I decided to expand to a 6×8 album. This is my first year doing a mini album for Fall and so far I love it! I am thinking about adding to the same album next year but it will depend on how full this one gets. I decided to use the Simple Stories Faux leather 6×8 album which matches my 12×12 black We R Memory Keepers albums for my project life this year. I wanted to dress it up a bit though so I decided to add a few charms that reminded me of Autumn and family. Here is a look at the album cover/spine. It was really simple. I just wrapped around some bakers twine and hemp twine where the front cover met the spine of the album and tied on some pretty charms I found while collecting some autumn supplies. The label for the album is a ticket in Kraft that I cut down to fit. I took white sticker letters and colored them with a copic marker to get the watercolor like effect. 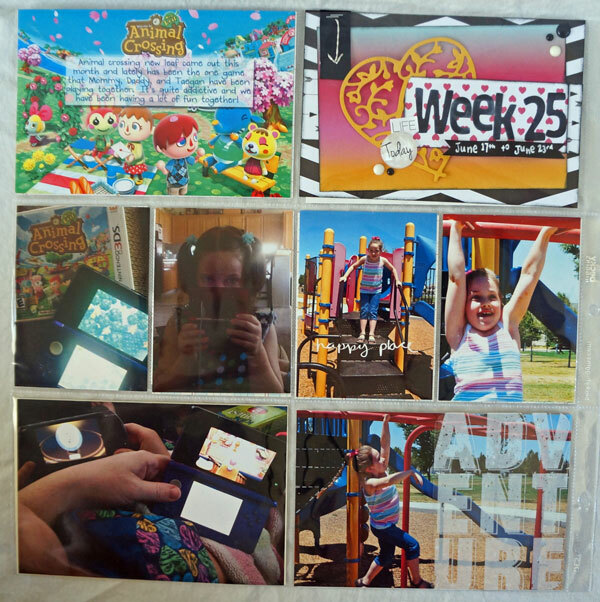 For the first page I took brown woodgrain cardstock and cut out the framed “gratitude” from a cut file I created with my Silhouette software. The second page is shimmery cream cardstock with the adorable Logo from Shanna Noel’s Gratitude.Documented. 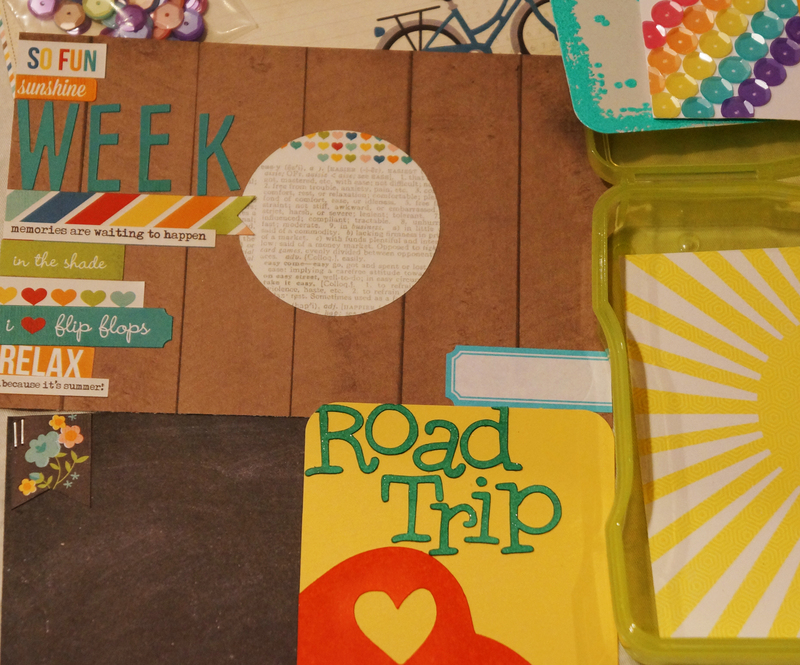 I did want to prep a few pages for the busy days I won’t have a lot of time to scrapbook. I am sure I will move things around as I develop my photos. 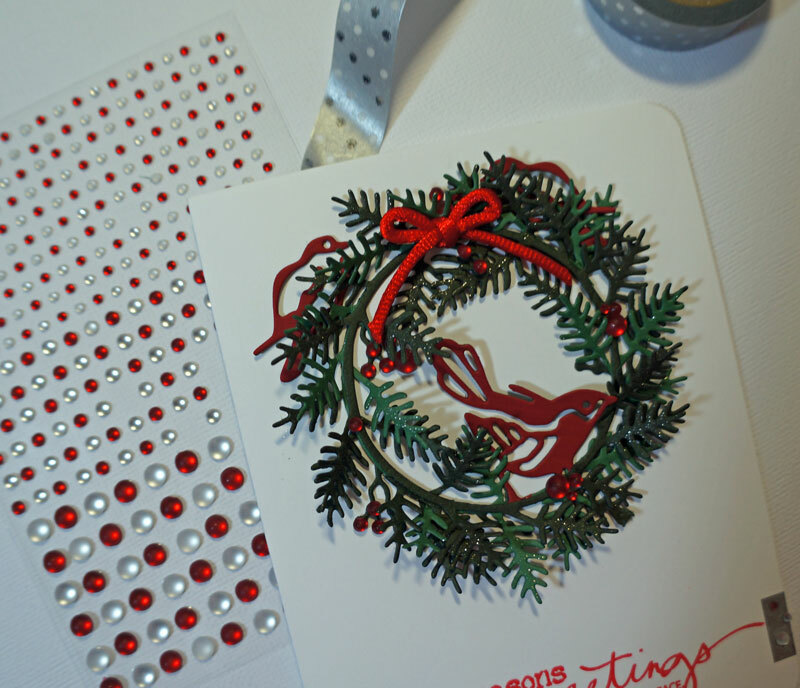 The papers and embellishments I am using throughout my album is the Basic Gray Persimmon collection, the Family Traditions line from Websters pages, and some embellishments from My Minds Eye. I really love the combination of the oranges and browns mixed in with the navy and baby blues. 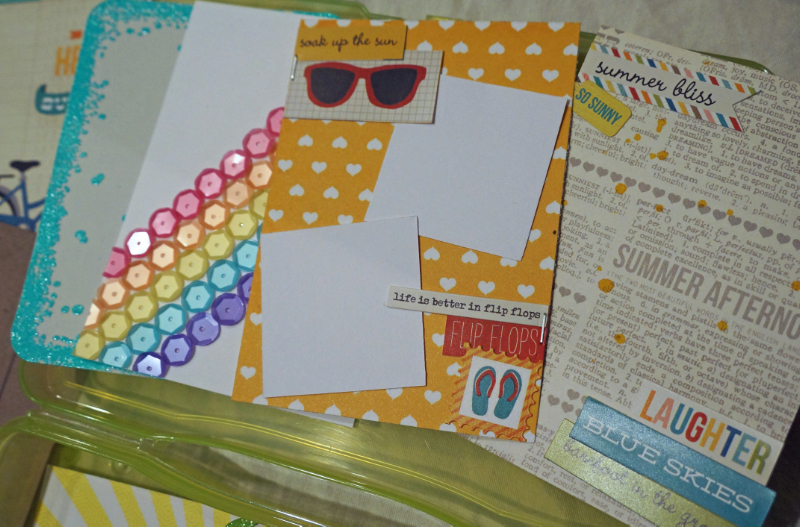 I am also adding in some Project Life cards, Pre-cut cardstock, Prima wood accents, Hey Kid sticker labels from Pink Paisley, Whimsical Twist sequins, and some other items from my stash to add texture and color. Here are a few of the “put together ahead of time” pages I have done so far. 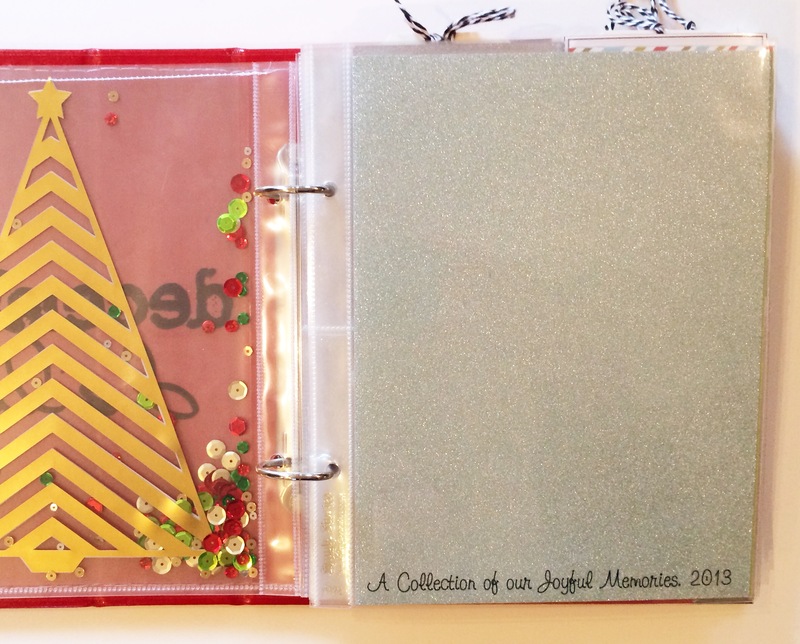 For this next page I decided to make a partial transparent divider type of page using some sequins and Prima wood disks. I just sewed the two pockets closed. I will add a filler card or photo in the other two spots. One of our bucket items is to make our own Halloween costumes this year. My little girl decided to be a traditional witch this year so I set these two pages aside to show off her costume and a photo of her trick-or-treating. 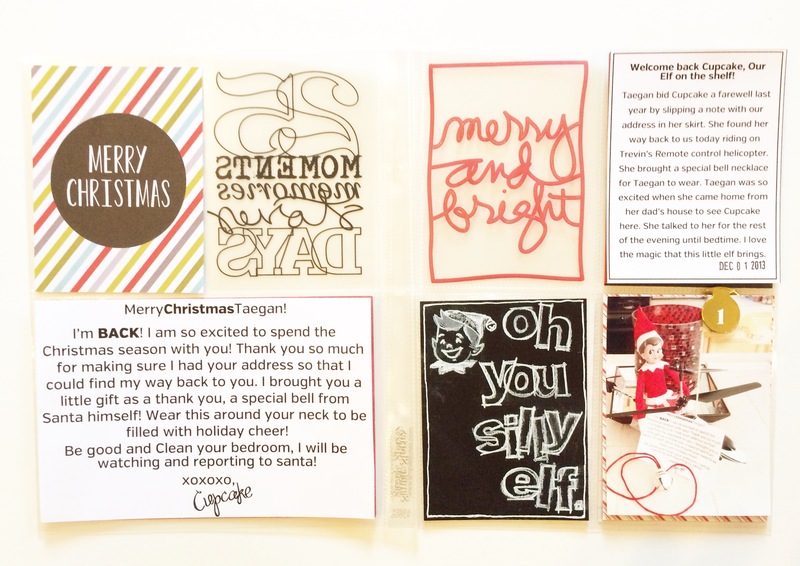 I love the little whimsical sacks to hold tags for journaling! One of the key things with this project as well as any seasonal Mini album project is to simplify and organize. Some items in my craft space I keep where I always keep them but sometimes it helps me if I pull together the collection of items I might want to use for the project. Looking at all the Autumn product together is very inspiring for me. Some things that I have done to help myself along is pre-cut my cardstock in 4×6 and 3×4 pieces, take my 6×6 papers and put them in a 6×6 clear iris plastic box to flip through quickly, Take a binder clip and clip together like items (sticker letters, enamel dots and gems, labels, sticker embellishments, stamps, etc), and put little items like sequins in the color combo that I will be using and wood veneer in small containers for easy access (bead containers from your local craft store work great for this). I hope you enjoyed my little preview into my Autumn album. I will be back for this series next month to show you my near completed album! One little bit of exciting news today is that all Basic Gray and My Minds Eye product is now on sale at 20% off in the Whimsical Twist shop!!! The sale lasts from now until November 3rd . 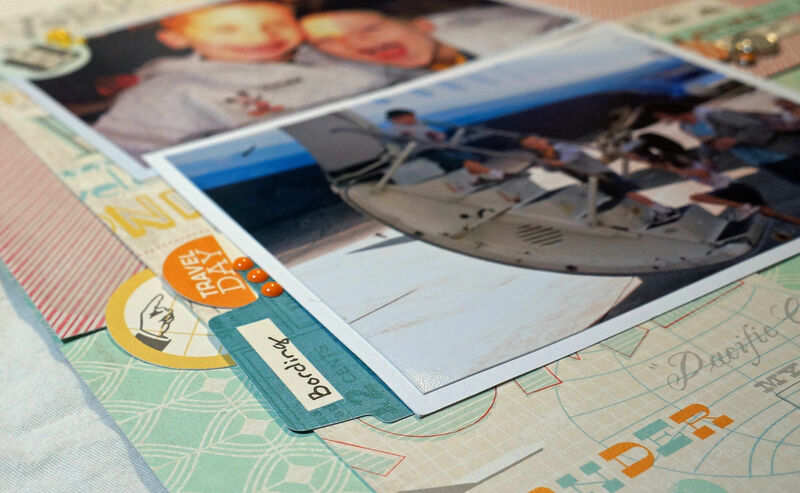 So, if you were wanting to get your hands on some great supplies for your autumn and holiday scrapbooking now is a fantastic time! Enter Code MME20BG at checkout! 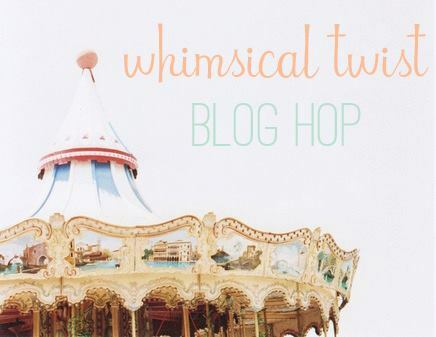 Whimsical Twist Blog Hop! Water Park FUN! 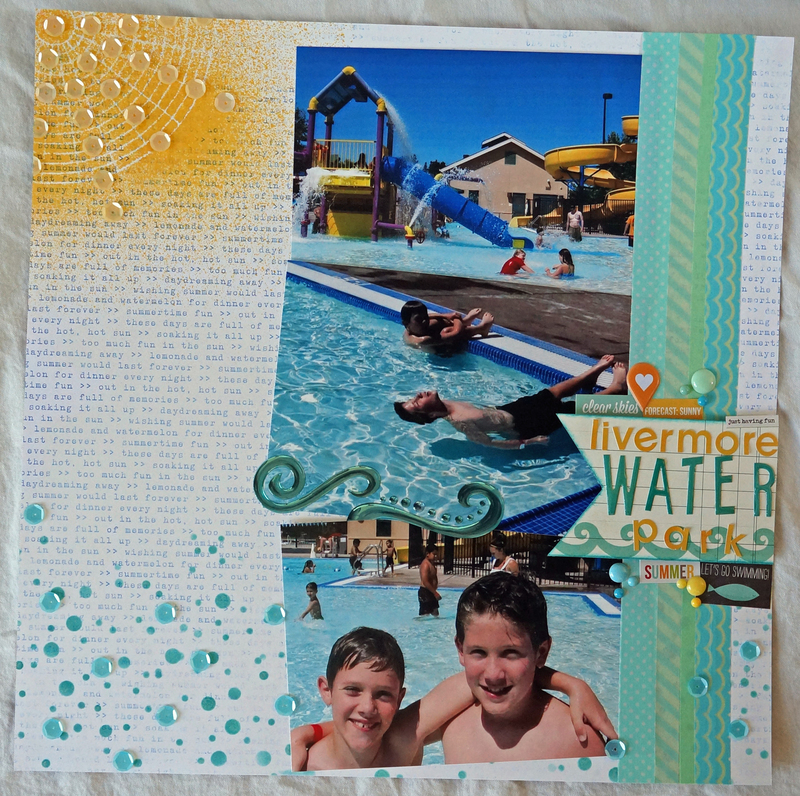 Welcome to Whimsical Twist’s first challenge! 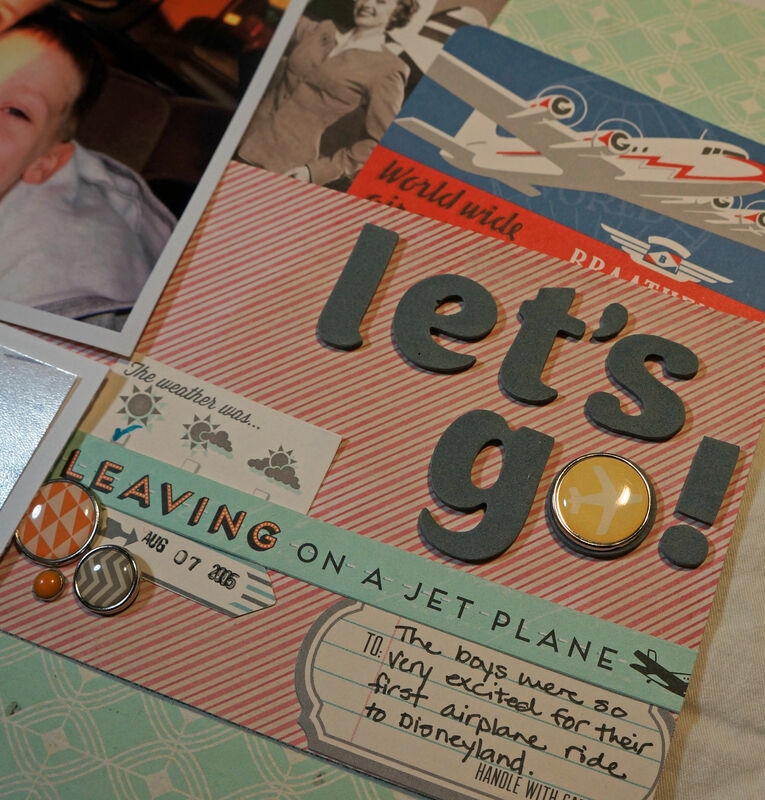 We thought it would be a lot of fun to also have a Blog Hop to celebrate our first challenge! How does that sound? 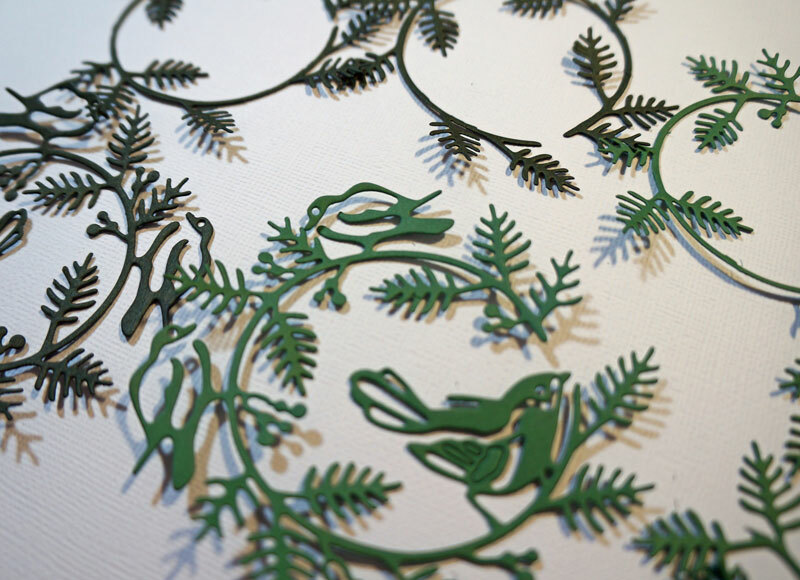 During the Hop you will be visiting blogs from several of our fabulous design team members. You will find so much inspiration on the way, that your head might explode! 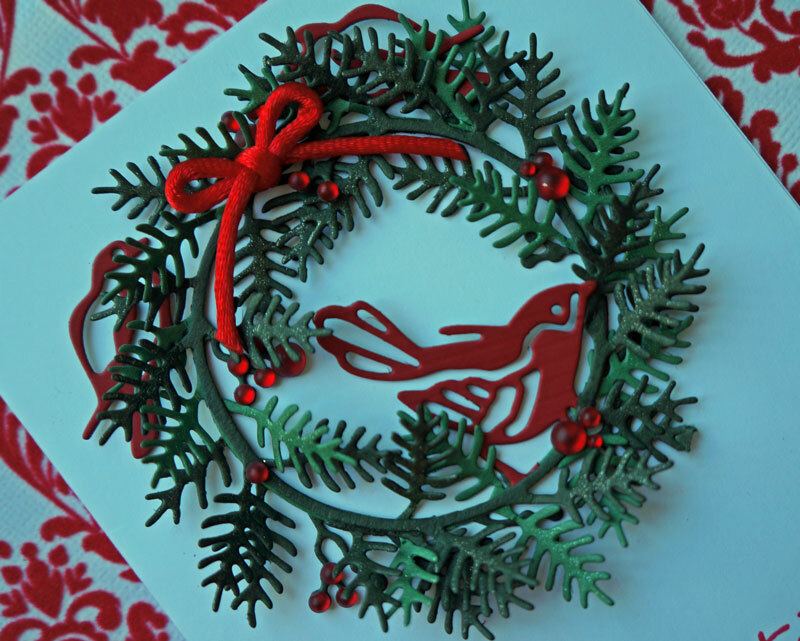 The hop will start at the Whimsical Twist blog and end at Lisa Wilkinson’s blog. 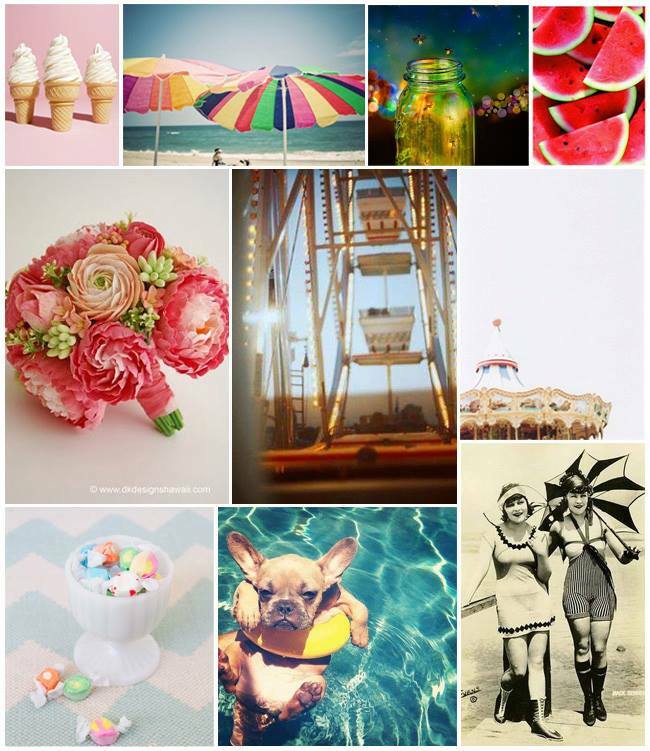 If you are just joining in, be sure to go to the Whimsical Twist blog to start. If you get lost along the way, just look at the list below to get you hopping in the right direction. 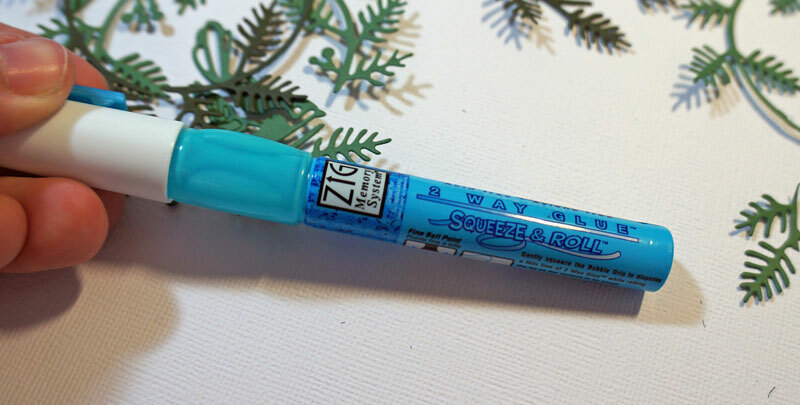 And you can’t have a Blog Hop without giveaways and this one is no different! 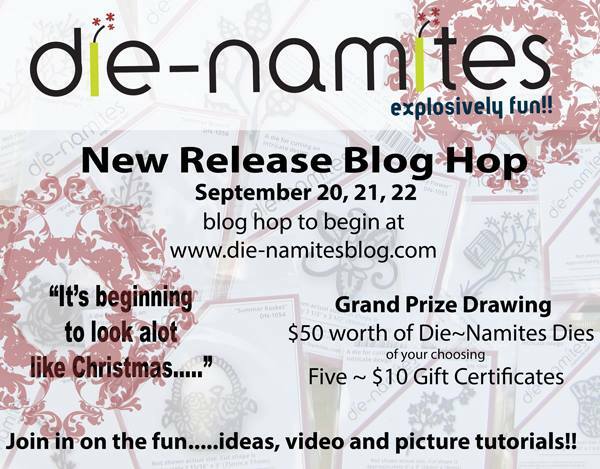 In order to be entered into the giveaways, you will need to be sure you leave a comment on each blog on the hop. Whimsical Twist will also be giving away a $15 gift certificate to the shop to one random hopper! We will be announcing the winners of our giveaways on August 12th, so be sure to watch for the announcements. Without further ado, let’s get this celebration started! I knew the perfect photos I wanted to work with for this challenge. These are some water park photos I came across a few days ago with my boys, 4 years ago. It’s hard to believe these boys are going to be in 8th grade and a freshman in high school in just a couple of weeks! 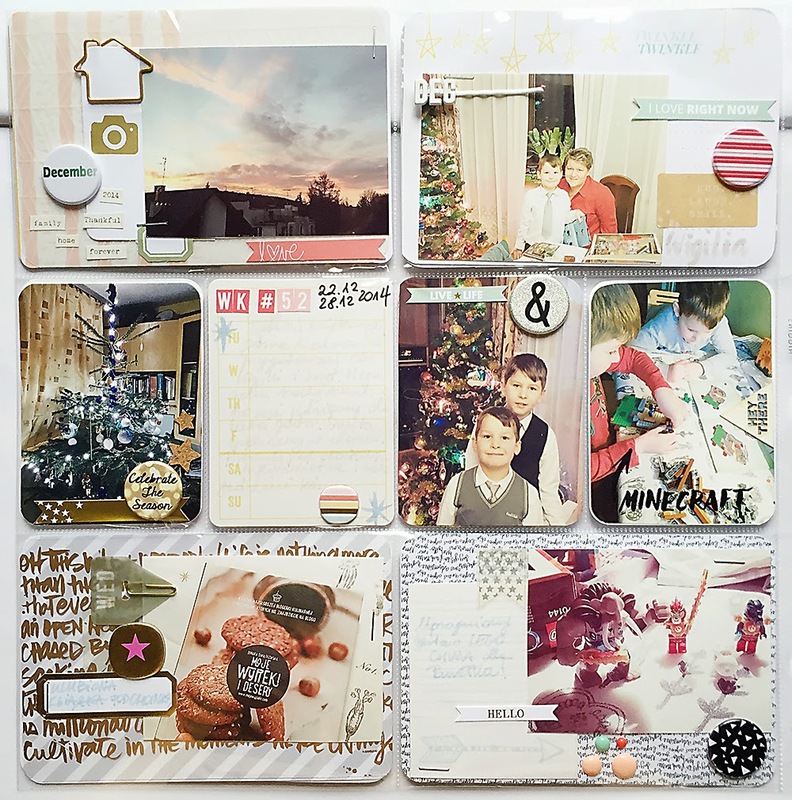 I used papers from Elle’s Studio and Simple Stories for this layout. 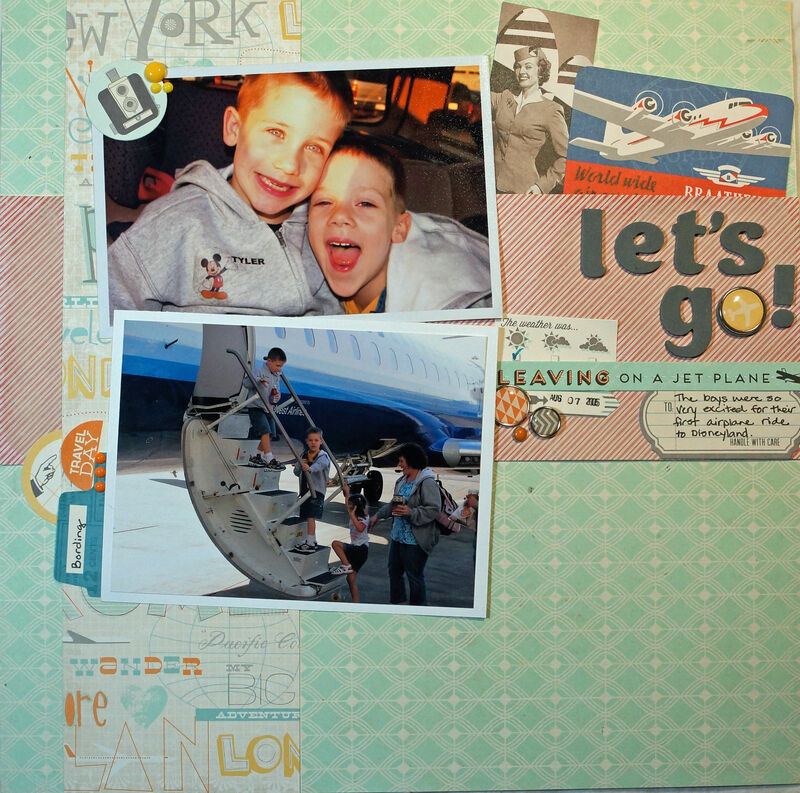 I added in some different washi tapes for the border on the side of the photos to tuck into. All of the sticker letters and accent stickers are from Simple Stories as well. 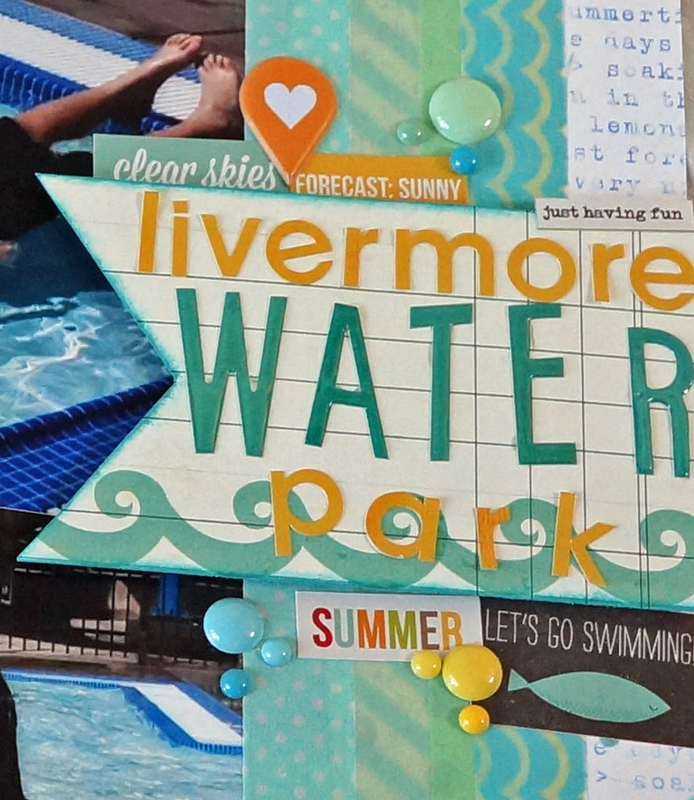 I added some Liquid Glass from CTMH for the letters spelling WATER to give it that wet look. I misted the top left corner with Mister Huey’s in the color Desert over a mask and then I accented with some of the beautiful sequins you can find in the Whimsical Twist Shop. 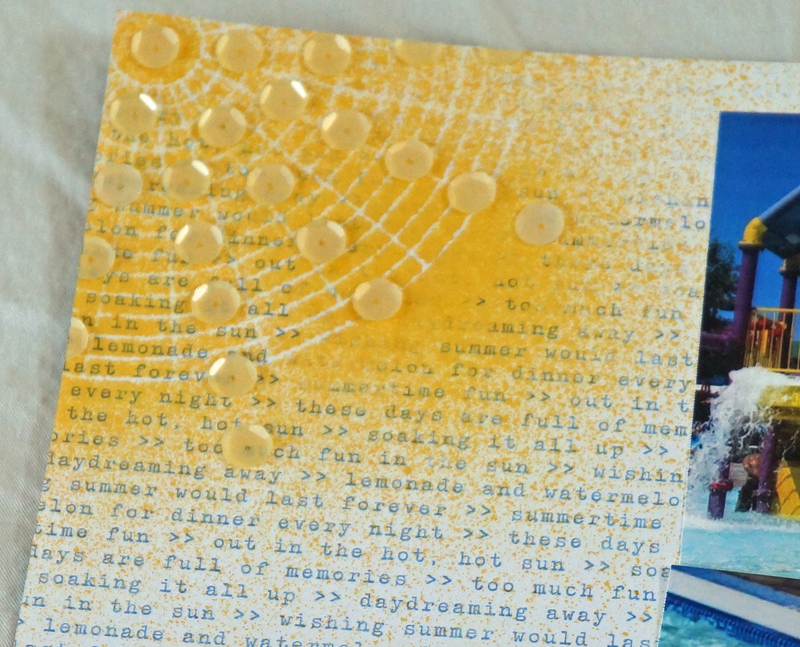 I also used a mask and some ink to create a bubble confetti background on the bottom using CTMH Lagoon ink and then layered with some of the same beautiful sequins from the shop. The two colors I used are Pineapple and Caribbean. 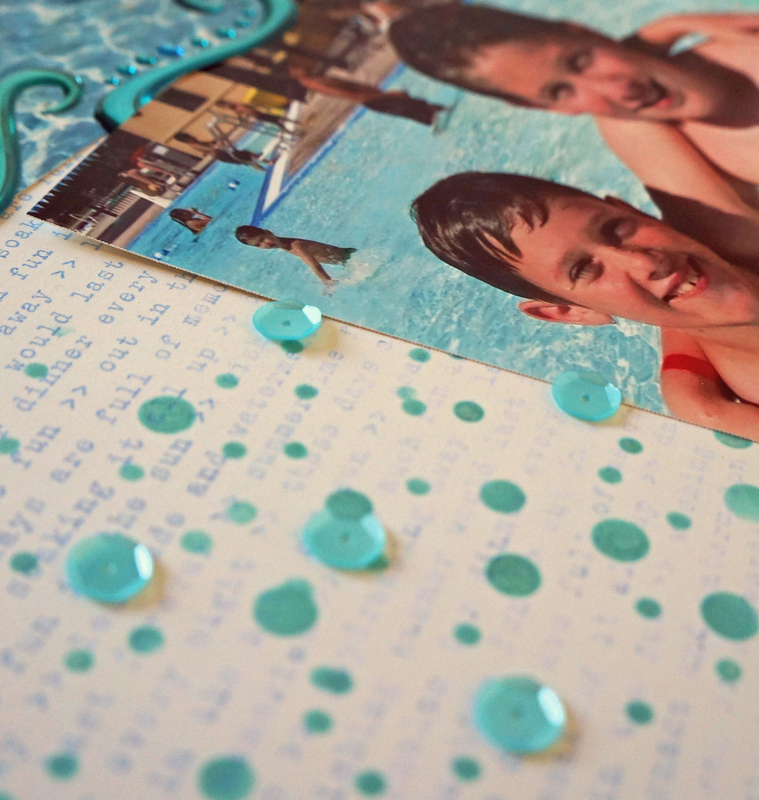 I adore these beautiful sequins so much, I think I may even use them more than my enamel dots! 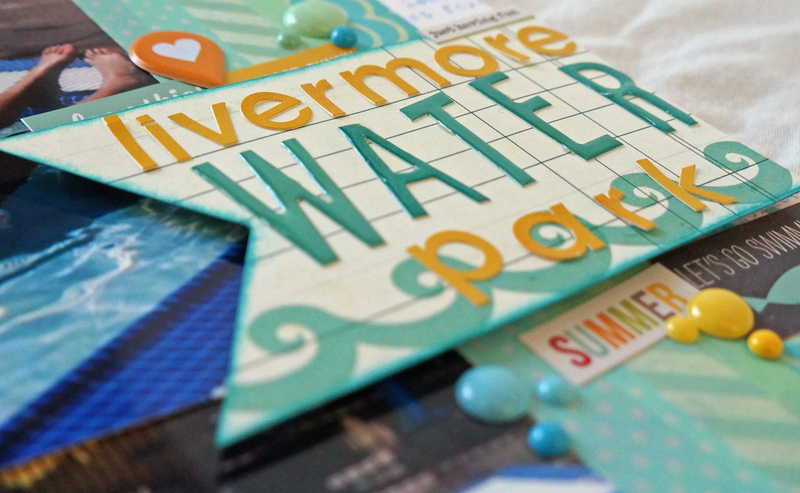 To adhere the Sequins I used the same Liquid Glass that I used on the title letters. Now for something a little fun! As I said before, you will see giveaways along your hop today. 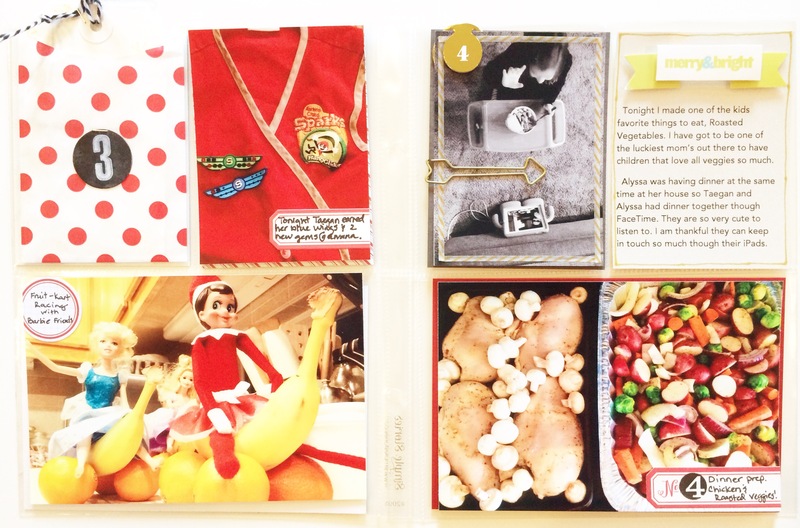 I am giving away a set of project life cards that I made especially for our giveaway! Below is a little peek at some of the cards included. I am also including a little bag of sequins, a sample of all the colors offered in the Whimsical Twist shop! 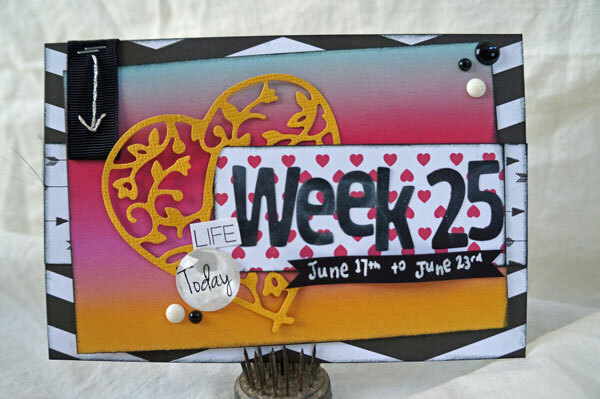 All contained in this little 4×6 case perfect to use as a project life on the go or journaling kit for your purse! Make sure you comment on each of the blogs today in order for a chance to win! Thank you so much for visiting my blog! You should have arrived from Ashley Hamm‘s blog and now you are heading to Charissa Miller‘s blog, but if you get lost along the way, here is the hopping order.